Last night my wife and I went to see the Unplanned movie (the story of Bryan, Texas Planned Parenthood director Abby Johnson’s leaving the organization). The women coming in to murder their babies are portrayed in a sympathetic light, sorrowing or being pressured by others, but never hard-faced. The bad guys are the Planned Parenthood execs… and the misguided buffoons holding those graphic signs and yelling incoherently or chauvinistically. Planned Parenthood workers are “like us”. One of the central messages of the movie was how prayer combined with being reasonable and not condemning wickedness, is the way to go. It’s how the 40 Days for Life people interact with Abby all through the movie, and it works for Abby herself at the end - she convinces a girl to leave the abortuary. My wife was distressed that Abby’s husband (apparently a Christian), knowing her occupation, not only goes ahead and marries her but allows her to continue her murderous work for years until she decides on her own to quit. The movie does not portray this horrendous failure of leadership as sin, weakness, or a problem of any kind on the husband’s part. 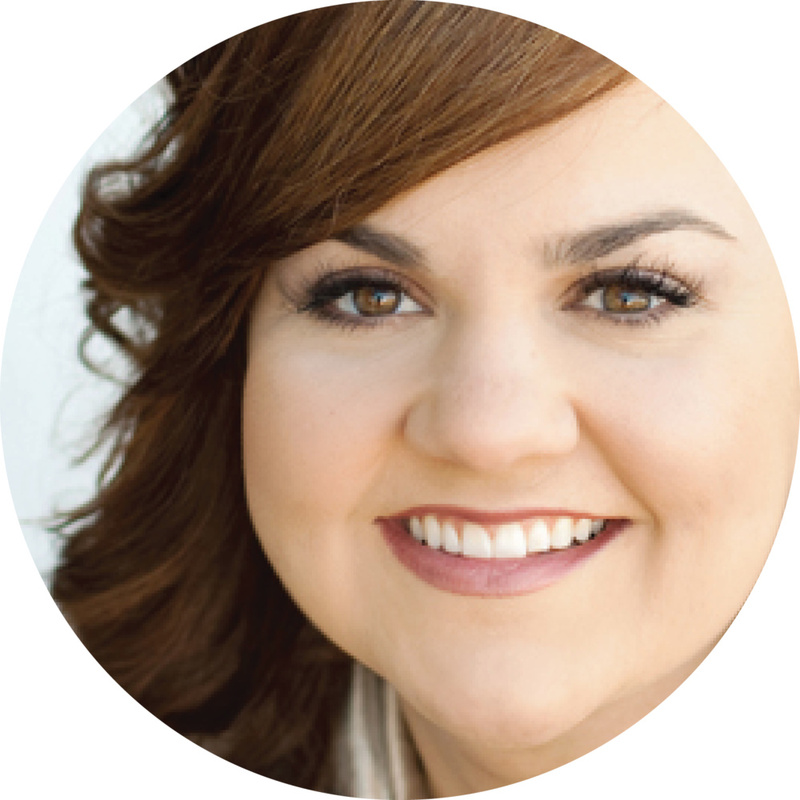 The movie’s view is faithful to what I’ve read from Abby Johnson. I don’t think Mrs. Johnson’s soft touch approach (and that of 40 Days for Life, featured prominently in the film) is wrong; but condemning the biblical prophetic denunciation of wickedness is. In this Mrs. Johnson acts like a woman who is untaught and uncorrected by her authorities (husband, pastor) and who has fallen into equating feminine godliness with godliness - though even the feminine godliness portrayed in the movie lacks the motherly element of calling out at the abortuary for a girl not to do violence to her baby; it’s clear that reasonableness is the cardinal virtue. 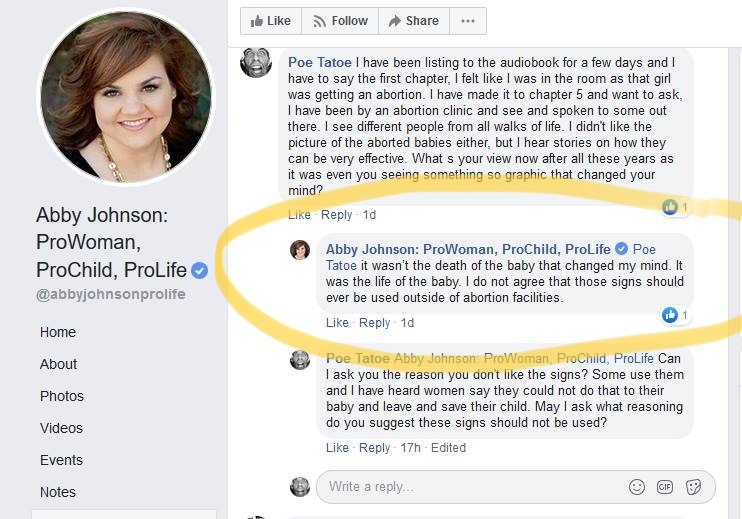 I’m glad that Mrs. Johnson repented of participation in the murder of children, and I’m glad for her ongoing work helping abortuary workers get out of the business. Now who will teach her a vision of masculine godliness so that she will stop tearing down that faithful work of condemning evil that faithful preachers since the days of Enoch have always done, at risk of their bodies, in the fear of God and in love of neighbor? I’d like to point out that there was one instance that the “patient” was portrayed as a very hard and uncaring character as her mother and I assume her sisters plead with her from beyond the fence. It was a very heart wrenching scene. I forgot about that scene, thanks for mentioning that. Yes, I thought the staff and volunteers at the clinic were portrayed unrealistically caring, clean and jovial, in my experience. And maybe abortuaries in other states are clean and modern but not where we live. It looks like an abandoned building. I agree with your thoughts about the husband and believe that he, also, was complicit due to his failure to lead. However, for 30+ years I was a committed Christian believing that I was living my life uprightly before God. I read my Bible through every year, faithfully attended and served the church. I was never challenged from the pulpit for my feminist views and never taught to confront sin in others. On occasion, I would confront others, trying to speak the truth in love, but that was rare. Because of moving from state to state for my husband’s job we attended about 10 different churches and we NEVER heard a sermon that a husband should require submission from his wife. So I believed that men taking authority and responsibility for his wife was a cultural thing for Ephesus or Corinth but not for 20th/21st century America. For the last 6 or so years, being in a reformed church, I am amazed that I was blind to so much truth in Scripture. Especially concerning Biblical femininity and masculinity. It is such a relief to know that we can and should just take God’s Word for what it is, THE TRUTH. And although I do not know anyone involved in the making of this film nor Abby Johnson herself, they could be like I was. Ignorant and unchallenged with the whole truth of Scripture and believing that their pastors were godly, faithful men. Sitting under motivational talks and only being fed the fun, comfortable, feel good stuff. vision of masculine godliness so that she will stop tearing down that faithful work of condemning evil that faithful preachers since the days of Enoch have always done, at risk of their bodies, in the fear of God and in love of neighbor? Who? Unfortunately, it seems, faithful preachers are few and far between. I became sick to death of the cotton candy Osteenian “gospel” and am so thankful that we’ve found a church where the elders feed us the meat of the Word, and are not afraid to challenge the culture, call sin what it is and hold her sheep accountable. So keep up the good work, all of you at Warhorn! May God strengthen you all in it! I think everything you said here is absolutely true. I also think the movie is still valuable, and Christians should still promote it as a stepping-stone apologetic to better resources. Let’s be honest: if people were going to become Pro Life based on logic, wouldn’t they already be Pro Life? This is the kind of production that might actually convert people, since it is aimed squarely at the deciding factor for most people: the emotions. I also think the movie is still valuable, and Christians should still promote it as a stepping-stone apologetic to better resources. My wife testifies to the movie’s helpfulness to her in exposing the awfulness of abortion in a more visceral and personal way, and I’m sure it will be helpful to some that way. O that You would slay the wicked, O God; Depart from me, therefore, men of bloodshed. For they speak against You wickedly, And Your enemies take [Your name] in vain. Do I not hate those who hate You, O LORD? And do I not loathe those who rise up against You? I hate them with the utmost hatred; They have become my enemies. If my only gripe is that the movie doesn’t go far enough, then I shouldn’t be so hard on the movie–nobody can say everything that needs to be said, all the time. You do what you can as you are able. Maybe this movie helps carry the ball down the field. But being moved by distress, pain, danger, and yuck isn’t enough. Europe already scorns America for our dirty, anything-goes abortion procedures. Europe’s answer has not been to humble themselves and repent of their murderous treachery against their weak and fatherless; but rather to sanitize the process and enact stricter regulations and be clean, so clean. Who’s going to do his part to raise up the next generation of men like Job, who “was a father to the needy, And…investigated the case which [he] did not know; who broke the jaws of the wicked And snatched the prey from his teeth” (Job 29:16-17)? There’s comfort in Christ, but not until we’re completely, absolutely undone and ready to give up our lives and take life on God’s terms. Is this movie a step toward that repentance of faith? Or is it a comfortable halfway point where we can try to get people to not do this one bad thing without us having to actually get dirty condemning sin? Maybe this movie is the best we’ve got right now, but if so then we need better. The movie is not wonderful, it’s so sadly weak, to the point of being ashamed of God’s Word. “Not all of God’s Word!” No, not all of God’s Word, just the parts that are most applicable, most helpful, most loving, most necessary. So go see the movie, be helped by it, tell others to see it–but mourn with me that this weak thing is the best we have right now; and then let’s pray to the Lord of the Harvest to send out workers into His harvest field, and gird up our loins and act like men, and with the guidance and help of our churches let us speak the truth in love to our neighbor, refusing to heal the wound superficially. Am I being impatient? But it’s been 40 years, how many more decades must we wait while the little precious ones continue to be dragged away to the slaughter with no one to help? How long, O Lord? I haven’t been following this very closely, but it seems that our culture is spuming the milk of this movie out of its mouth. (Twitter, e.g., has apparently been shadowbanning the movie’s account or something similar.) So if they are going to hate even this, why not give them the whole counsel of God’s word to hate? Well said, Brother. Thanks for the response. She’s targeting organizations like Operation Save America and like Psalm 82 Ministries (and like our own church’s anti-abortion mercy ministry, though I’m sure she didn’t have us in mind particularly). As it is, it’s like a wife undermining her husband’s discipline–that kind of woman thinks she’s the kind one, but she’s deceived, and the kids are in danger of going to hell. I could give more examples of the danger of making a principle of half-measures, as the movie and the organizations it represents do; perhaps this one will suffice: among such groups, if a woman has been fornicating with her boyfriend and gets pregnant and is abortion-minded and then is persuaded not to kill her baby but to keep him, she and her boyfriend become heroes in this camp and are given a platform to speak. No mention is made of their ongoing fornication or that if they continue as they are they and their children will go to hell. What kind of milk is this? I look at the Scriptures’ condemnation of those who heal the people superficially, and I look at what these soft-touch-only groups are preaching and teaching, and I say with trembling, tell me again what this is supposed to be a stepping stone to for those we lead to feed there? The swipe at old white men tells you everything you need to know. May I add that escorts use this same kind of identitarian taunt. Keep in mind also that Roe vs. Wade was decided by a court composed of 8 old white men and one old black man. Is Roe vs. Wade invalid because white men gave us their opinion on abortion? According to Mrs. Johnson herself, it was seeing the graphic image on an ultrasound that changed her view of what abortion was, prompting her to quit her job. Why is it permissible for her to have her mind changed by graphic images but not others? It’s inconsistent reasoning, at best. For me it’s pretty simple…Abby Johnson is to the abortion debate what Jesse Jackson or Al Sharpton is to racism. Those who truly want reconciliation don’t go drinking their coolaid, and those who want to end abortion shouldn’t help Abby become wealthy over her heinous crimes. She still is unrepentant, she’s in fact profiting from her turn-coat status more than she would have had she stayed with Planned Parenthood. So much of this story is just Unbelievable but probably planned. Do you have any reason to believe this other than the career she’s made off of her change? Overall your comment seems to me to say that she simply doesn’t care about abortion one way or another but simply uses it as a money-making tool, either opposing or promoting whichever way will make her the most money. I find this hard to believe, regardless of the concerns I have and problems I see. Her public remarks deny that abortion is a damnable sin, and her portrayal of women and clinic employees as victims rather than perpetrators is insidious. She may not be pro-abortion, but she is hardly in agreement with God about nature of the problem. She is suppressing the truth, and spends as much time attacking the faithful as she does Planned Parenthood. This movie’s portrayal of abolitionists is slanderous and reflects her hatred for the truth. Her flattering portrayals of the guilty parties gives wicked people a refuge from their guilt. Lastly she is a hypocrite for denying that the grotesque presentation of the murder of the unborn is what changed her mind about abortion, while also supporting an R rated movie that animates those graphic images like no street preacher could. She may have sincere feelings about abortion and Planned Parenthood, but that does not make her deceptive portrayals forgivable. Look at her own words in relation to the Gosnel murder trial. She didn’t support that movie. But then I guess she wasn’t getting paid for it. Tell Me, What Do I Deserve? This is much more helpful. Thank you. Glad it was. Also added a link to her blog article about Gosnell and the subsequent movie.